Our vision is a world where a young person’s start in life does not limit their future. Britain has a deep social mobility problem. We are working to change this. Only one in eight children from a low-income background is likely to become a high earner as an adult. Across the UK young people’s experience and opportunities are closely linked to the status of their parents and the area they grow up in. Our research shows that nearly half of pupils from the poorest backgrounds (on free school meals) don’t know anyone in a job they would like to do. We know this affects young people’s perception of their own ability, their expectations of future success, and the extent to which they value their school work. Meeting former students helps to change this, boosting young people’s confidence and motivation, and helping to transform their life chances. Our mission is to see every state school and college in the UK supported by a thriving and engaged alumni community. Access to relatable role models broadens students’ horizons, helping them to imagine a world beyond their own. Having grown up in the same community and sat in the same classrooms former students are ideal volunteers to be such role models. For generations, private schools and universities have effectively harnessed the talent, time and support that former students can offer. Since 2009, Future First has been making it easier for state schools and colleges to do the same. How do we we make it happen? How do schools use their alumni? 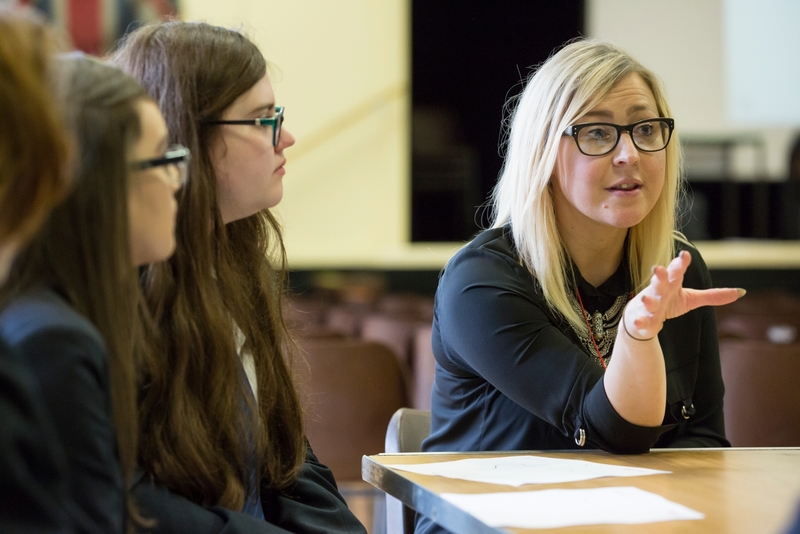 Bernie Corrighan, Careers Adviser at Waldegrave School in Richmond, talks about working with Future First to challenge stereotypes around careers and how alumni have helped their students. Waldegrave School is a comprehensive in London for girls aged 11 – 18. From 2014 we opened a co-educational sixth form. We are a high performing school and in 2016 we were voted the top comprehensive school of the year by the Sunday Times Parent Power supplement. Waldegrave consistently performs well in the borough of Richmond and we are proud to specialise in Science and Maths. We decided to work with Future First as we wanted to use alumni to challenge both student and parental stereotypes of certain jobs. We want to emphasise that there are a number of different pathways and careers areas available to our young people. 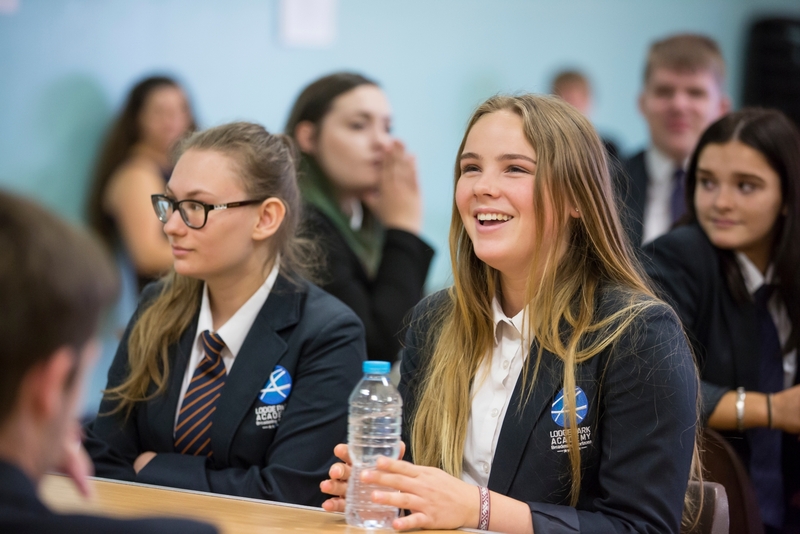 When we launched our new Sixth Form we wanted to have an organised alumni resource as previously, we had alumni attend school events but very much on an ad hoc basis, we had no official database. We sought to use the organisation of Future First and develop relationships for work experience, mentoring and career inspiration. Use of their technology made our alumni experience more structured, it’s easier to communicate about events but also include our alumni in school news. We have used alumni in a variety of ways; from e-mentoring to parent’s evenings to talks. They have been a massive benefit to the school. 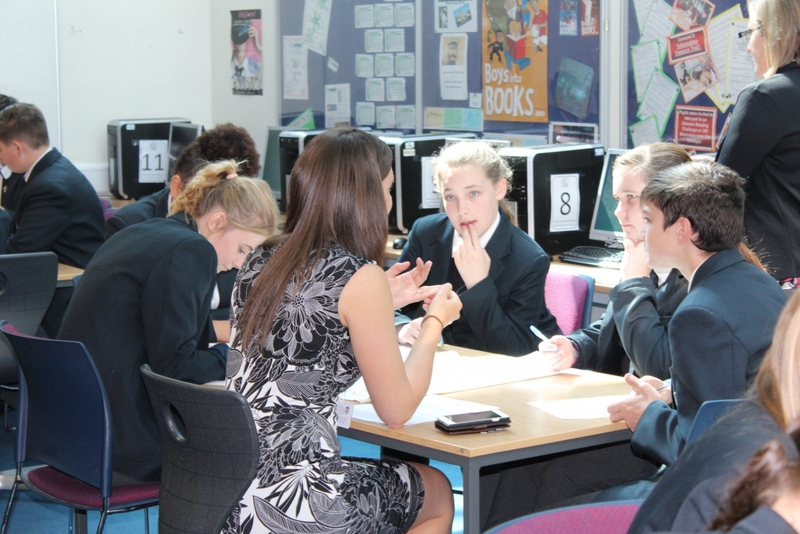 Our Year 9 students experienced an alumni workshop which was a really good event. The 35 students had all chosen to sign up after it had been announced in assembly and were keen and enthusiastic. The workshop focused on the prospect of choosing their GCSE options but also got them reflecting on their own skills. It was really great timing as the students will be choosing their options in February. The workshop was a great opportunity for them to start thinking about their upcoming decision; the facilitator really tailored the session to help support this. The girls networked really well and they grew in confidence as the session progressed. It was great to see them confidently shake the hands of the professional volunteers. I even got involved as another volunteer which was an interesting chance for me to get to know the students more as their careers advisor. I will definitely try and book the workshop again as the students were all so engaged! Dan, our facilitator, even commented on how well our Waldegrave girls took to all the tasks. In the short term is was great to see the student’s confidence grow through the course of the session. I think the activities based on reflection will be really important when they’re thinking about future decisions and how best to present themselves. It was great to see the group thinking about their skills and strengths in a positive way; the way the workshop broke each section down into smaller tasks made thinking about their future manageable. The biggest takeaway for me is the fact the girls got to think about their confidence, communication and reflection. Alumni have helped Waldegrave in so many ways as we have used them for so many different things. We’ve had alumni come in to assist in mock interviews for University. For example, an architect came in to speak to students and help coach them in ways to improve their interview techniques. There is the immediate impact of using alumni for support and advice. We have also used alumni to really inspire our students. For example, we have had International Women’s Days events to inspire our students to think about careers that are not mainstream. We use our alumni to open our students’ eyes to different opportunities; to get them thinking about different career pathways. By using alumni, we hope to get our students thinking about apprenticeships as they are exposed to real world examples. The service offered by Future first is amazing, they help keep me on track. In my role I have so many responsibilities so it is great to have someone who reminds me about events and someone to touch base with. I really like the inspirational posters as they are really powerful. Also, the fact Future First helps with our careers programme and towards the Gatsby Benchmarks is fantastic. 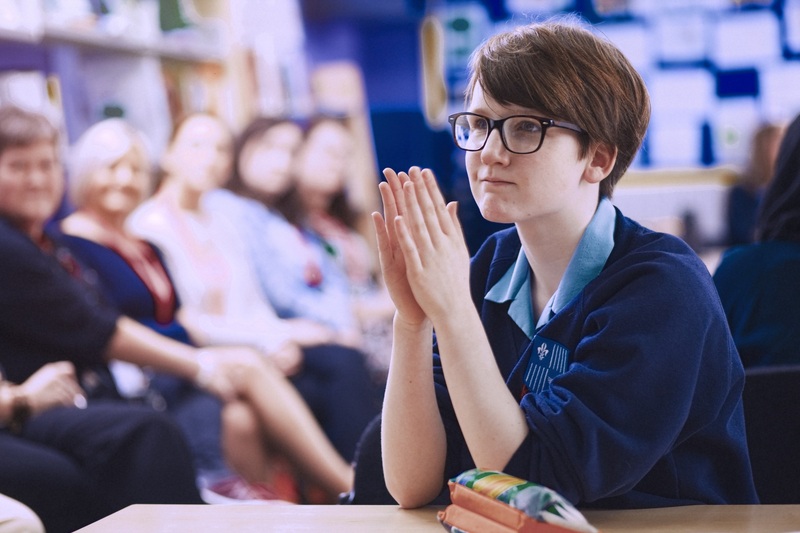 The alumni are such a useful support to Waldegrave and not just for careers support but can be used in all subjects; alumni are real life examples for our girls to relate too. We hope to utilise the programme even more by getting more staff involved and developing from there. Jo Richardson Community School started in 2002 with just one year group. We now have a purpose built building and have expanded to 10 form entry. Our sixth form is large with 177 young people, so it has been a key focus for us when working with our alumni. We are based in a deprived area with a high percentage of students on free school meals and a high percentage of students with parents who have never been to university. Our main priorities for working with former students are providing relatable role models and raising the aspirations of our students. The only graduates lots of them have ever encountered are the teachers at school and doctors. It is essential for them to meet more people who have had different career paths and journeys into higher education to see that there are options available to them in the future. 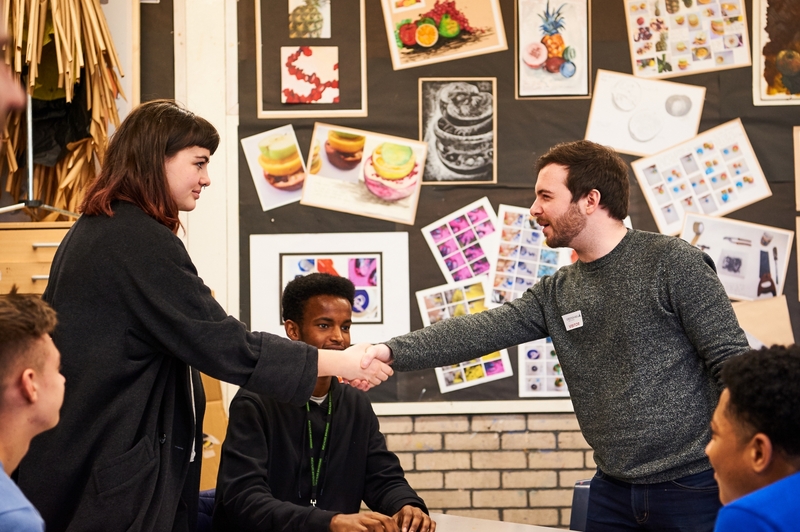 We decided to work with Future First because at the time, our sixth form was very new and saw the value in being able to stay in touch with our former students and formalise relationships that lots of the teachers in the school already had. Our Alumni Officer at Future First supported us to start Future Fridays. We run an informal lunchtime meeting where former students talk about what they do and how they got there to inspire and inform our students. What I love about these sessions is that they are specialised and it has helped students with specific interests. The students ask questions and focus on their goals and have been exposed to various ways to get to the same place which has been really helpful for them. We are very proud to have won the Future First sponsored Pearson’s Teaching Award for School of the Year – Making a Difference. We just had a Sixth Form Open Evening and some of the students who came from other schools said that one of the reasons they came is because they saw that students here had put us forward for the award, which is really positive. The Award has definitely raised our profile in the community and we’ve had lots of good wishes from lots of different organisations. On the day of the judging we did a showcase which was a real boost. Different departments showcased their progress and teachers got a chance to see what other areas were doing. We had some ex-students come in, we had the DofE table, The Student Voice table. It so encouraging. The whole process has been very positive and to know that one of our sixth form students was the reason we were nominated is amazing. Our hopes for the network in the future are big. In 20 years’ time we want to be able to invite back former students who are surgeons, managers and CEOs. Currently our former students are young, the eldest are 27 but they will continue to progress and grow their careers. We want our students to be able to see someone that has travelled around the world for their job. As our network grows, this will have an impact on our current students as they will start to see siblings, friends and people from their community who have gone on and achieved after school and that they can do it too. Jo Richardson Community School is Pearson Teaching Awards School of the Year – Making a Difference. Find out more about the awards and how to enter your school. Image kindly provided by Jo Richardson Community School.